Sanjay Mandhania, director of the company, said major service players in the region’s oil drilling industry have been using Ashtech’s cenospheres while some high-rise construction companies were also among the buyers. “Oil drilling service companies buy the cenospheres from our branch outlet and dealer network. 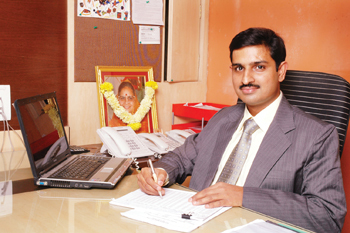 We see a big rise in business in the future,” he added. The company’s plant is located near Mumbai and has capability to produce 400,000 tonnes per month. The plant is operating at 80 per cent capacity and plans exist to expand capacity to 1,000 tonnes monthly. It is likely that a substantial portion of the increased capacity will go to the Gulf which accounts for a major portion of the company’s sales and where Ashtech sees strong prospects for sales. 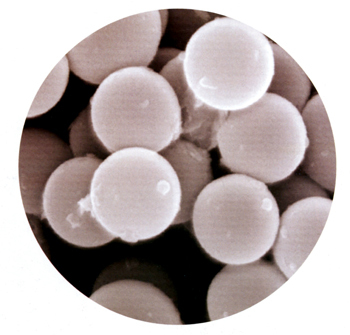 As well as the oil drilling industry, the company’s cenospheres have applications in a diverse range of industries including special paints, refractory works, foundries, high-strength rubber manufacturing, architectural moulding, acrylic casting and body fillers yacht building, marine polyesters and epoxy resin. Ashtech has long-term contracts with power stations for sourcing raw cenospheres for manufacturing. The company’s marketing pitch is that its processing unit is state of the art with skilled technical staff and a quality assurance plant incorporating quality checks at all stages. It also highlights it has a well-equipped laboratory and in-house testing facilities. The process of burning coal in thermal power plants produces fly ash containing ceramic particles made largely of alumina and silica. The particles are produced at high temperatures from 1,450 to 1,700 deg C through chemical and physical transformation. Cenospheres are the lighter particles contained in the fly ash and are hollow, hard-shelled, ultra-low density spheres which form unique free-flowing powders. Their chemical composition and structure varies considerably depending on the composition of coal that generated them. “Cenospheres are a floater material and presently we are processing for oilwells, foundries and the paint industry,” Mandhania said. “Some 20 per cent of the output is consumed in India with the rest shipped mainly to the GCC region and other global markets,” he said. About whether certain types or sizes of cenospheres enjoy more demand than other sizes in the company’s product range, Mandhania replied: “Since we are processing the cenospheres we can produce to any particle size and specific gravity to meet customer requirements. “Our standard CA 500 has particle size of 10 to 500 micron and a density of 0.75 to 0.85. Ashtech packs the cenospheres in 50 kg and 500 kg bags with liner to prevent ingression of moisture. For ease of handling 2 x 500 kg bags are stacked on a wooden pallet and all palletised cargo is shrink- and strap-wrapped. All pallets can carry specific labeling as per the customer’s requirements. The company recently took part in the Middle East Oil & Gas Show and Conference held in Bahrain and Mandhania was present to respond to queries made by business visitors to the company’s stall. Mandhania said keen interest was evinced in cenospheres, their applications and the manufacturing process.